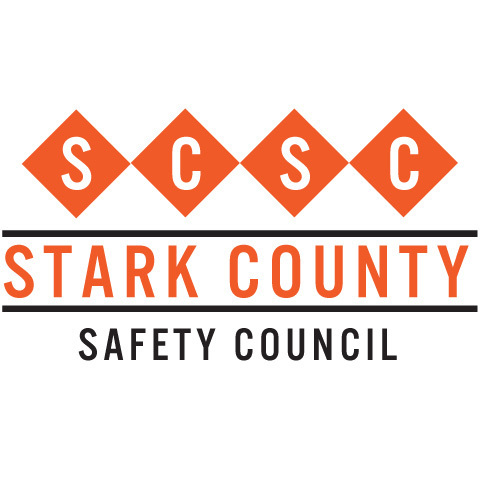 Submitting semi-annual reports is a requirement to remain an active member of the Stark County Safety Council and also a requirement for the BWC’s safety council rebate program. The information for this report is for period January 1 thru June 30, 2018. The reports may be submitted beginning July 1 and no later than July 15, 2018. If you do not submit this report, please forward this email to the appropriate person. This instruction should be used as a guide in completing the BWC's Division of Safety & Hygiene semi-annual report form. The top portion is self-explanatory. The person completing the semi-annual report should fill in the "submitted by" information. This is the date of the most recent injury that resulted in an employee missing at least one full day of work. That date does not necessarily have to be during this reporting period. If no injuries have occurred during this period the date would remain the same as reported last period. If no injuries have ever occurred, this line can be left blank. Please refer to your last semi-annual report. If no injuries or illnesses resulting in at least one full day away from work have occurred during the six-month period the date should remain the same. Multiply the average number of employees x the average number of hours worked per week x the number of weeks in the six-month period (i.e. 725 employees x 40 hours = 29,000 hours x 26 weeks in the six month period = 754,000 hours). Taken from OSHA 300 Log column G, the number of deaths that resulted from an occupational accident during this six-month period. Taken from OSHA 300 Log column H, the number of occupational injuries or illnesses resulting in days away from work. Taken from OSHA 300 Log column K, the total number of away from work as a result of occupational accidents during the six-month period. NOTE: If the days away from work resulted from an accident which occurred in a previous six-month period, please indicate the additional lost-days on line 6. If the date of last injury or illness resulting in days away from work (1) was during the current six-month period you are reporting on, there should at least be a 1 for (5) the number of injuries or illnesses, and (6) the number of days away from work. If the date of last injury or illness resulting in days away from work was during a previous six-month period, (5) and (6) should be 0 unless an employee is still having lost days as a result of a previous injury (then there may be a number on line 6). Please contact Connie Cerny or phone 330-458-2061 if you have any questions or concerns. 1.) Leave this blank if not applicable. DATE OF MOST RECENT INJURY OR ILLNESS RESULTING IN DAY(S) AWAY FROM WORK (Month/Day/Year format). Items 4, 5 and 6 are based on the Recordkeeping Requirements under the Occupational Safety & Health Act of 1970. The columns listed below correspond to the columns in the OSHA 300 Log and PERRP Form 300 P.
If you report a death, injury or illness resulting in days away from work in the current six month period (item 4 or 5), the most recent date of death, injury or illness must correspond with item 1.